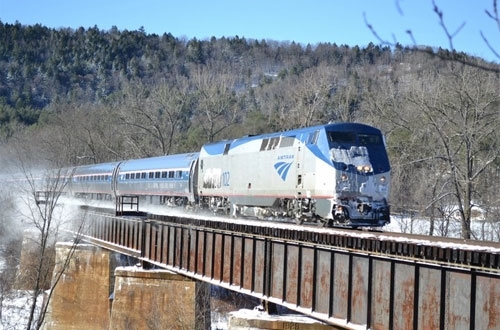 Amtrak has set out to work on a long list of infrastructure projects during 2013. “Amtrak continues to advance and invest in projects that provide both near-term benefits and long-term improvements for the effective delivery and reliability of intercity passenger rail service,” said President and CEO Joe Boardman. Boardman says the 2013 agenda builds on the successes from 2012, which saw record ridership, the best-ever system-wide on-time performance, the national launch of eTicketing and the start of new Northeast Regional service to Norfolk, Va., the extension of Downeaster service to Freeport and Brunswick, Maine and the beginning of 110 mph operations on the Lincoln Service in Illinois and on the Wolverine and Blue Water services in Michigan. In 2013, Amtrak intends to continue planning and other pre-construction activities on its Gateway Program to provide additional capacity into Manhattan for Amtrak intercity and New Jersey Transit commuter services, including the proposed next-generation high-speed rail system. The project includes building two additional tunnels under the Hudson River to access expanded terminal facilities serving New York Penn Station and the future Moynihan Station. It also will replace and expand the century old Portal Bridge over the Hackensack River and increase from two to four tracks between Newark and New York. 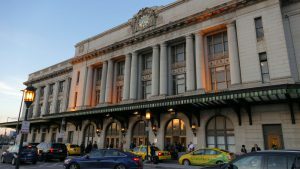 Amtrak is also seeking funding this year to specifically advance design and early construction elements of the Gateway Program to preserve a pathway for the two new Hudson River tunnels to New York Penn Station. In 2013, Amtrak will further advance design, engineering and other pre-construction activities for a $450 million project funded by the federal high-speed rail program that will boost top train speeds from 135 mph to 160 mph along a 24-mile section of the NEC between Trenton and New Brunswick, N.J. The project includes upgrading track, electrical power, signal systems and overhead catenary wires to permit the faster speeds and also reconfigures track switches at the western entrance to New York Penn Station to mitigate congestion issues. The full project is to be completed in 2017. In May 2013, Amtrak expects to complete construction on this $140-million multi-year project to replace the Niantic River Movable Bridge, originally built in 1907 and located between East Lyme and Waterford, Conn. Partially funded by the American Recovery and Reinvestment Act, the new bridge is now in operation and will enable Amtrak to increase speeds and minimize traffic and delays. The project involves constructing a new two-track, electrified railroad bascule bridge just south of its present position, new track alignments on both approaches to the bridge and expansion of the navigation channel beneath the bridge and an increase in the vertical under-clearance above the water for the benefit of river traffic. Also, sections of the Niantic Bay Overlook boardwalk will be reconstructed and the public beach replenished. In 2013, Amtrak will continue the installation of underground signal and communication cables over the 60 mile Springfield Line, the first portion of construction for the state of Connecticut-led New Haven-Hartford-Springfield (NHHS) Rail Program to expand passenger rail service. 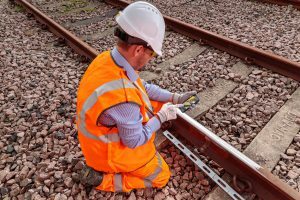 This work is required to upgrade signal and communication systems for the NHHS program and prepare for subsequent infrastructure improvements to add a second track. In Dec. 2012, Amtrak executed a long-term lease agreement with CSX, enabling Amtrak to take full control of the Hudson Line between Schenectady and Poughkeepsie, N.Y. 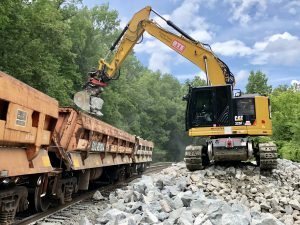 The arrangement ensures that passenger rail service has scheduling priority there and paves the way for four significant rail improvement projects led by the state of New York totaling $181 million. Amtrak intends to begin work on these projects in 2013. Amtrak anticipates signing an agreement in 2013 with the Michigan Department of Transportation to operate, dispatch and maintain a 135-mile section of state-owned railroad from Kalamazoo to Dearborn that will lead to track improvements to support 110 mph speeds for Wolverine and Blue Water service. Amtrak will begin preliminary engineering and NEPA environmental work in 2013 for replacement of the 1873 vintage B&P Tunnel in Baltimore, Md. This phase of the multi-year project is funded by a $60 million federal high-speed rail grant to the state of Maryland. A new tunnel is envisioned to have an improved alignment to enable an increase in speed and capacity for Amtrak, MARC Commuter and Norfolk Southern freight trains. Amtrak will begin preliminary engineering and NEPA environmental work in 2013 for replacement of the 1906 vintage railroad bridge crossing the Susquehanna River between Perryville and Havre de Grace, Md. 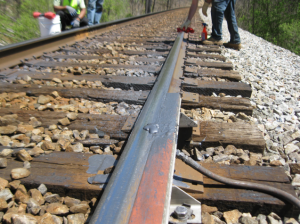 This phase of the multi-year project is funded by a $22 million federal high-speed rail grant to the state of Maryland. 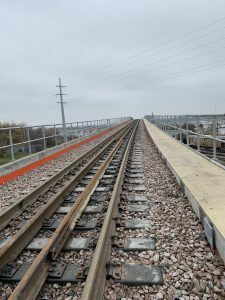 A new bridge is envisioned to have additional tracks to increase speed and add capacity for Amtrak, MARC Commuter and Norfolk Southern freight trains. In 2013, Amtrak intends to complete installation of Positive Train Control (PTC ) equipment along the Amtrak-owned right-of-way. Amtrak has completed installation on the section between Philadelphia and Washington. The section from New York to Philadelphia is more than 90 percent complete, as is the section between Philadelphia and Harrisburg. PTC has been in operation between New York and Boston for years and the entirely of Amtrak-owned tracks on the Michigan Line (Porter, Ind. to Kalamazoo, Mich.) also has PTC in operation today.